Brief blood stance animation over the Bloodbrood Whelpling's head when the player summons the Deathlord's Vilebrood Vanquisher mount. 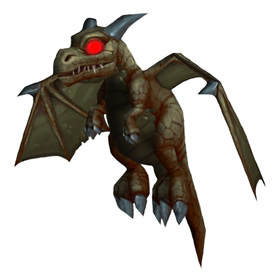 This pet is only available to Death Knights, however any class can summon it once it has been added to your collection. 3. Unlock and complete the Broken Shore campaign. There is a total of 9 battle pets that can only be obtained by specific classes. Bites at the enemy, dealing 394 Undead damage. The next round the user unleashes a devastating breath attack, dealing 985 Dragonkin damage. Deals 197 Undead damage and forces the opponent's lowest health pet to swap into battle. I just bought all 3 pets - a month after Battle for Azeroth went live, so YES they are still available! I still had to do the various scenarios to learn each spec's weapon, but because Artifact Power is no longer a thing, I didn't have to level up the weapons in any way after I learned them. I was able to buy all 3 pets while I was in Frost spec. Just for fun, I Death Gated back to Archerus while I was on the last quest for the Class Mount, & the vendor was empty. After, he had all 3 for me! According the notes on the pet page, it specifically says 52 points in Maw of the Damned weapon. Can anyone confirm it is only available if the blood weapon is maxed, or if Frost/Unholy specs can also get it at 52 points? Unlike other wyrms, blood wyrms drain their foes rather than consuming them whole.